Why Not? Wednesday. 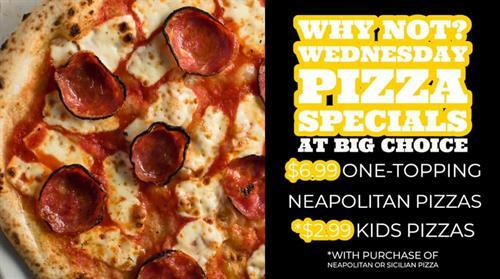 Big Choice is offering $6.99 one-topping Neapolitan pizzas all day. In addition, purchase a Neapolitan or Sicilian pizza and you can get a kids choice pizza for $2.99. See you in the Temple!